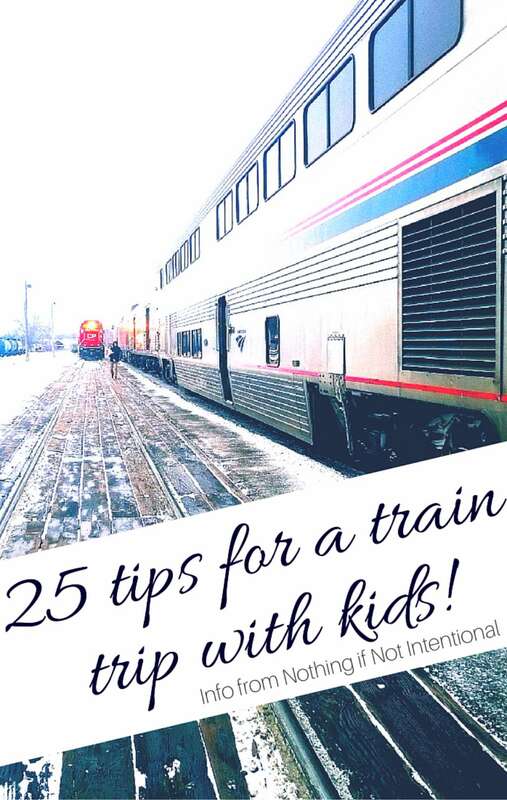 Riding the Rails: 25 Tips for Taking a Train Trip with Kids in the USA! 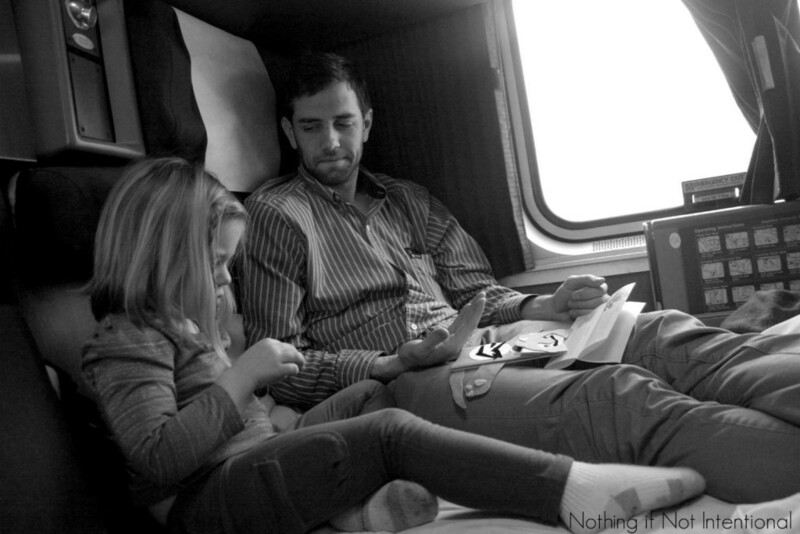 A few months ago, our little family unexpectedly ended up on a train from Spokane, Washington to Chicago, Illinois. Wait. Hit the brakes. Back up. We “unexpectedly” took this trip? How does someone (especially a planner like me) “unexpectedly” end up on a train across the country? I know it’s hard to believe, but this trip was spontaneous, last-minute, random, and completely unexpected. 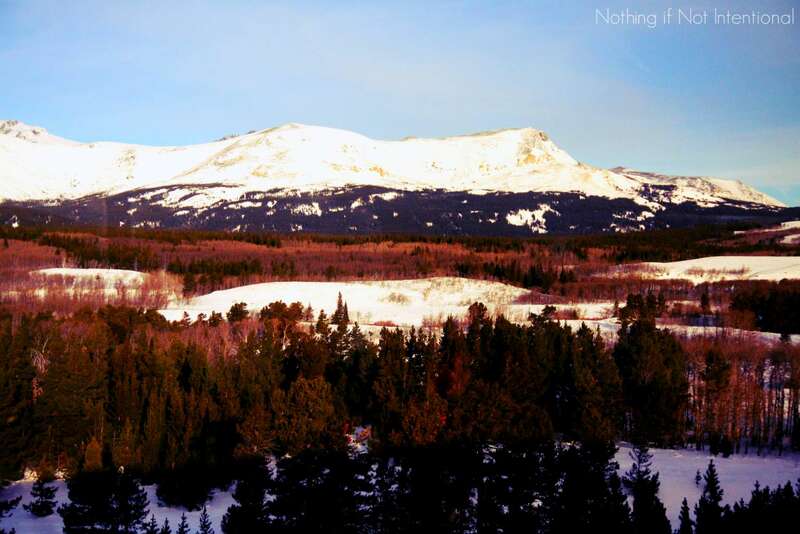 Here’s the situation: our girls (ages 2 and 4) and I had flown out with my husband to Spokane, Washington to deliver a plane, and the four of us needed a way to get back home. All along, we were planning to buy one-way tickets home on a commercial airline. However, since we weren’t quite sure how long the trip out there would take (weather and potty breaks are limiting factors in a small plane), we couldn’t buy our return tickets in advance. By the time we were ready to solidify our plans and head home, the price for commercial airfare had skyrocketed. Fortunately, the train had seats that needed to be filled and last-minute train tickets were quite reasonable (cheaper than flying, in fact)! So we bought our tickets and jumped on an eastbound train in the middle of the night. 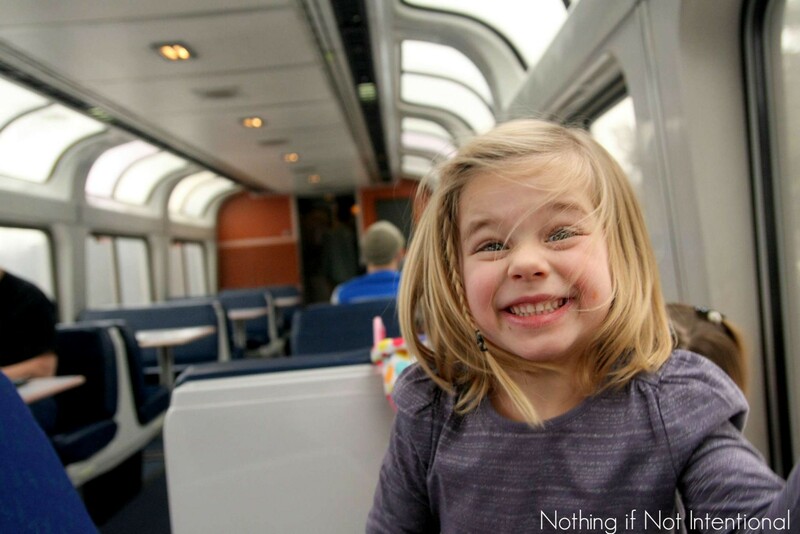 In case you’d like to be a wee bit more prepared than we were, here are my top tips for traveling by train in the United States with kids. Bring your own soap and toiletries. We were provided a bar of soap and a basic towel. We were thankful that we keep our travel bag stocked with other necessities like shampoo and conditioner. Be prepared for shared bathrooms. Even if you have a sleeper car (which I recommend! 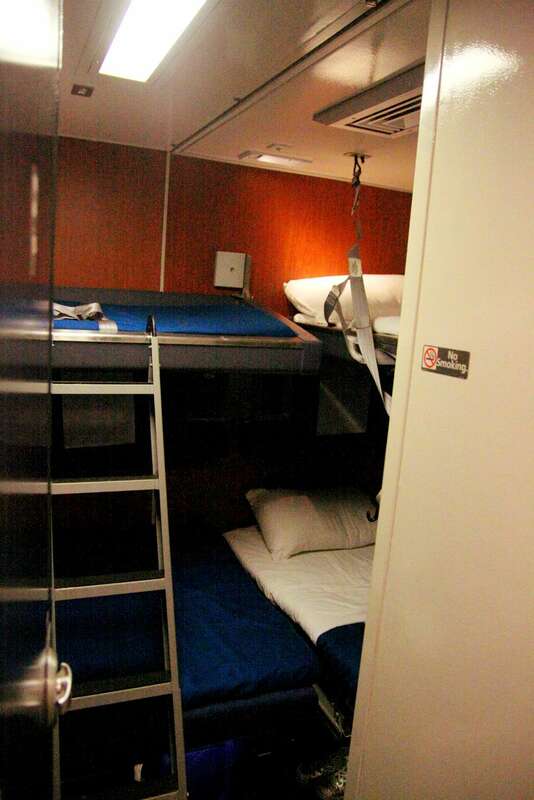 ), expect to be sharing a bathroom and shower with all the other passengers. In that way, it’s more like camping than a ritzy hotel. Bring sandals for the shared bathrooms. I so badly wish I had flip flops with me for our trip! But it was winter, and I just had boots and shoes. Should I ever travel by train again, I’ll make sure to have something to wear on my feet in the public showers. Our sleeper car had two small bunks (top and bottom) and two adult bunks (top and bottom). If you have an infant, there is no room for a crib or baby bed. I know you think you might be able to squeeze something in there with a little creative maneuvering, but you can’t. It’s a tiny, tiny space. The room attendant said that moms either co-sleep or put their babies in their car seat carriers on the lower bunk. (With the beds made, there’s no room for a carrier on the floor.) Our two-year-old was so excited that I was near to her that she ended up climbing across her bed to sleep in mine. Co-sleeping in a twin bed with a squirmy tot is not an easy task. Props to the well-rested co-sleeping parents in the world. The top bunk has a “rail” made of something akin to seat belt material. Our four-year-old doesn’t roll around much, so it felt safe to us. But it’ssomethingto be aware of if you have younger children. Food is included with some ticket packages. For instances, our sleeper car tickets included meals. 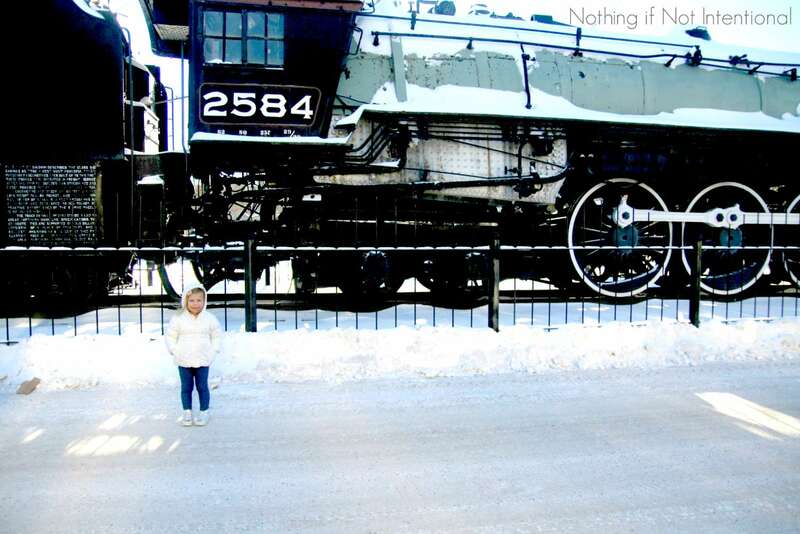 I thought it was great fun to head to the dining car with the girls for breakfast, lunch, and dinner. It added variety to our day. The seating in the dining car is communal, and the tables seat four. So if you have less than four people in your party, you may be seated with strangers. It makes for excellent conversation! Don’t expect gourmet food. The options for kids for lunch and dinner included hot dogs and mac ‘n cheese. However, we were allowed to order for our girls off the adult menu. Don’t expect gourmet service. I’m not quite sure why, but there was one night when only two tables were allowed to eat dinner at a time. I suppose it was because they were short on staff? The hard part for us was that the only dinner slot available was 7:35 p.m. mountain time–9:35 p.m. eastern. We eat late, but not THAT late! You can bring your own food and drink on board. In fact, a random stranger gave us a twelve pack of beer that he couldn’t drink on his own. (Did we really look that desperately in need of a drink?) Practically speaking, the freedom to bring your own food and drink means you can supplement the dining car meals with fruit, veggies, or other kid-friendly snacks. The number one question we’ve heard in response to our trip is, “But what did you DO while you were on there?” Did the kids get bored or antsy? I know other families might have a different experience, but I can say with complete honesty that we had a blast! I rushed to Target before we boarded and bought the girls a small set of doll baby accessories and a few toys. We painted the girls’ nails, read books, played Uno, colored, played with baby dolls, and listened to audiobooks. We also downloaded movies on our tablets (hooray for the chance to introduce our girls to Toy Story!) and books on our kindle. 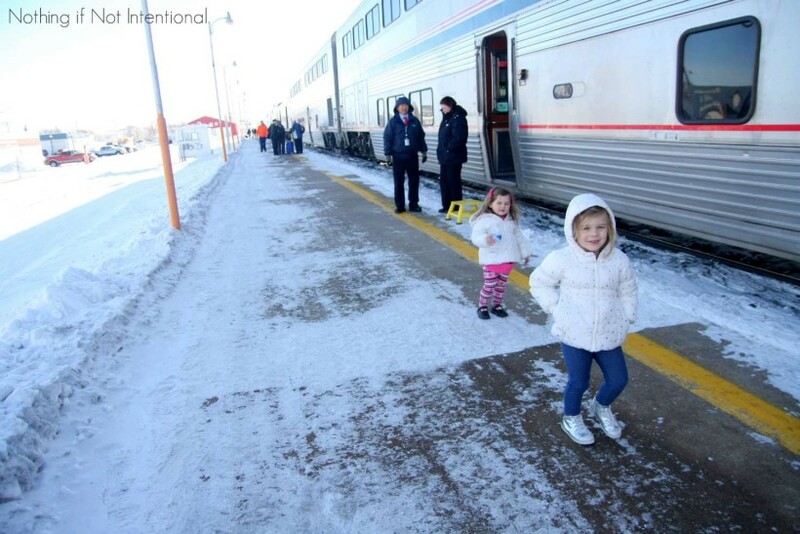 There are no car seat requirements or fasten seat belt signs, so kids are free to move about the train as you see fit! We took lots of walks back and forth across the train. 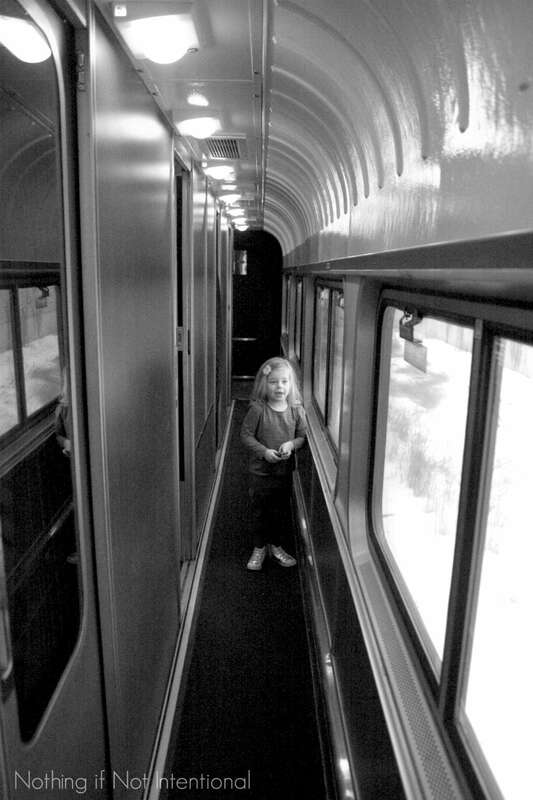 Most trains have an observation car with big windows so you can enjoy the view. If you check your bags, you won’t see them again until you arrive at your destination. 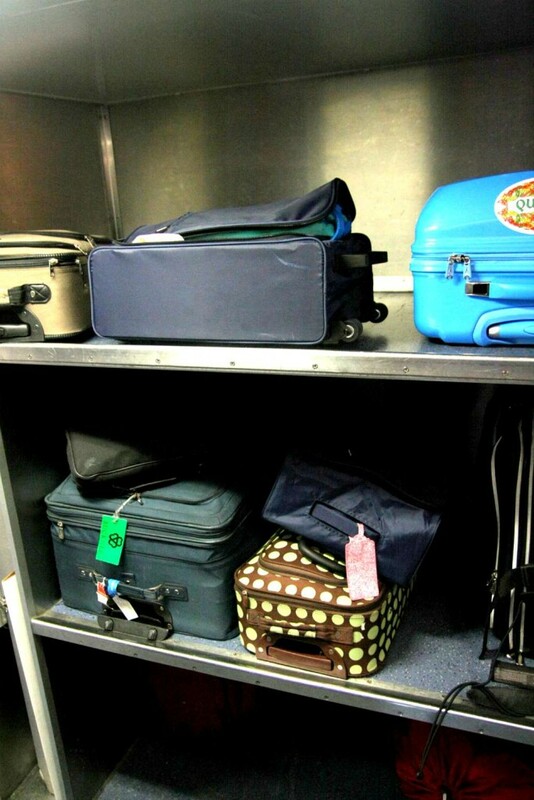 However, the carry-on allowance is generous, so we kept most of our bags in the cargo hold outside of our room. Unlike airport security, there is very little security screening at the train station. The rules state that weapons aren’t allowed, but no one checked our bags. Our suitcases were kept in the communal storage space (because there was no way they could fit in our room), and we couldn’t lock our door when we left. So if you’re paranoid about vandalism, keep your valuables with you. Our cabin attendant said she had never heard of a theft occurring, but it could happen. My preschooler and I both get pretty motion sick, but we didn’t have any trouble reading, playing, or watching movies on the train. Yay for no motion sickness! Don’t be late. If you miss your train, you might forfeit the cost of your ticket. The train stops are short, and you don’t have time to step outside on most of them. But for the longer (5-10 minute) refueling stops, you can step outside, stretch your legs, see the scenery, and get some fresh air (or get the opposite of fresh air if you’re a smoker). Unlike driving, the train keeps moving when the parents need to sleep. So everyone arrives at the destination well-rested! 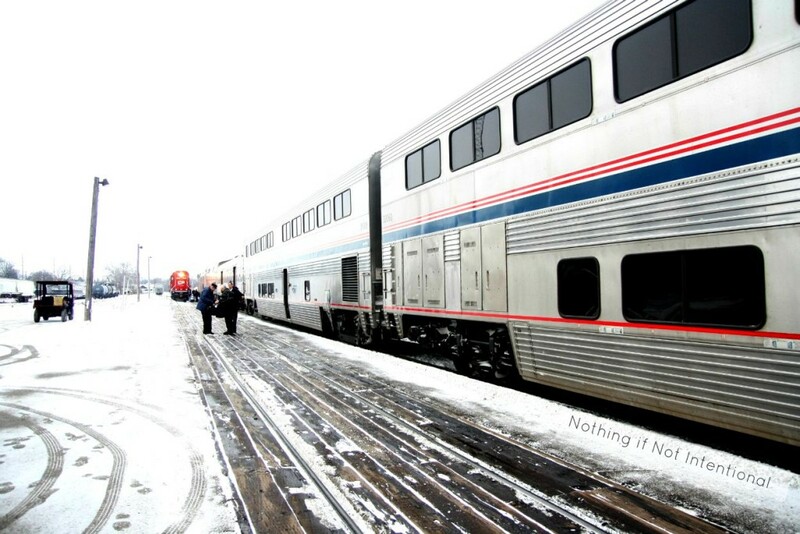 Train travel in the U.S.A. is somewhat rare, but it’s an experience we highly recommend!